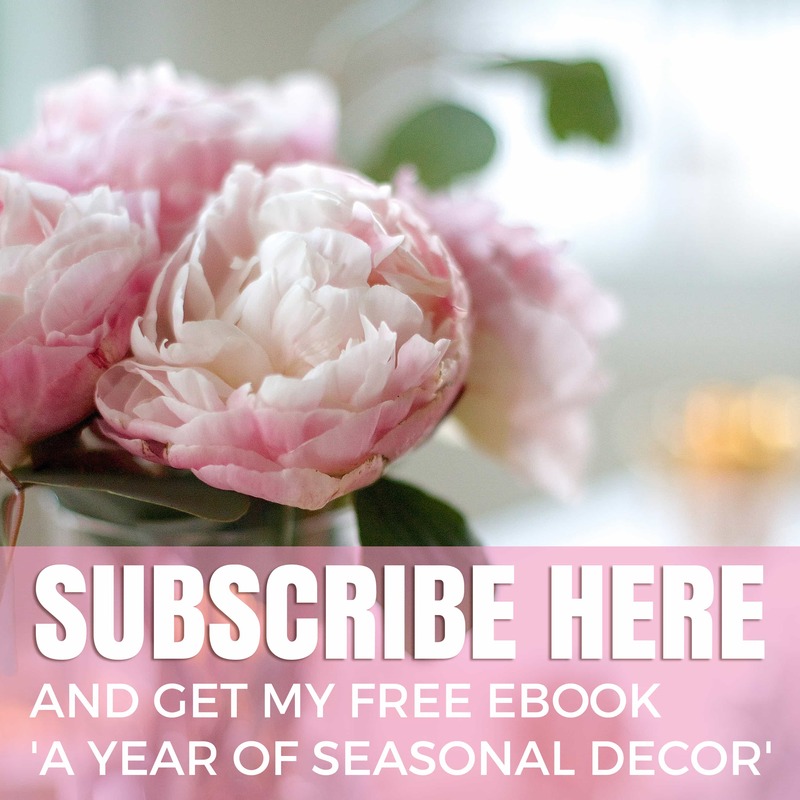 If there’s one thing I most like to share with my readers it’s how to approach decorating in an unconventional way. This is all the more so when doing a tablescape, since it’s only set for one occasion. 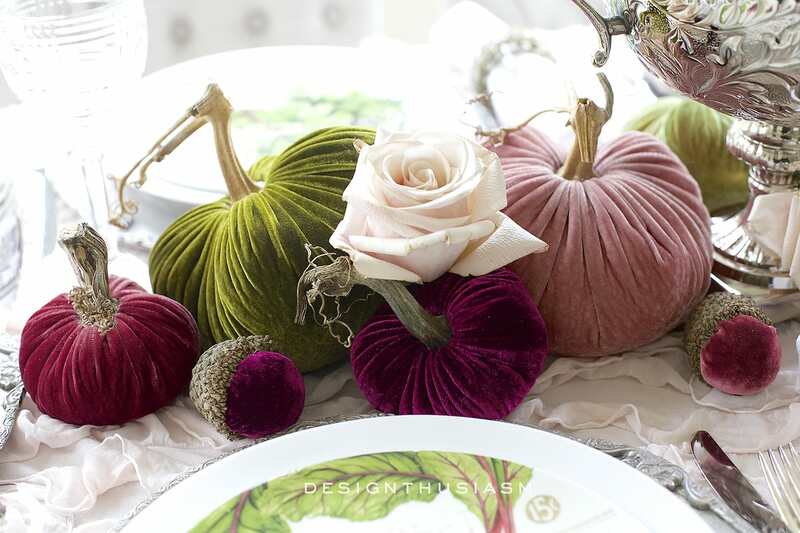 Often I like to use elements on my tables that go beyond dishes and stemware and today I’d like to look at using velvet pumpkins in an elegant fall tablescape. 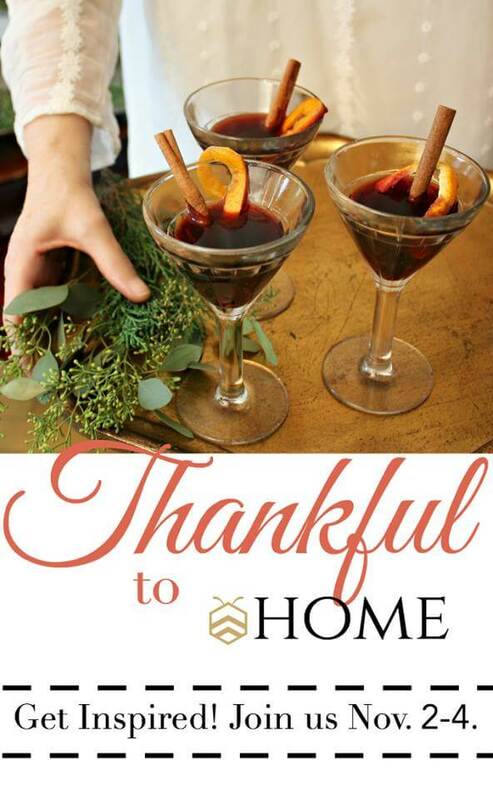 I’m joining today with a group of bloggers to bring you our “Thankful to bHome for the Holidays” blog tour. 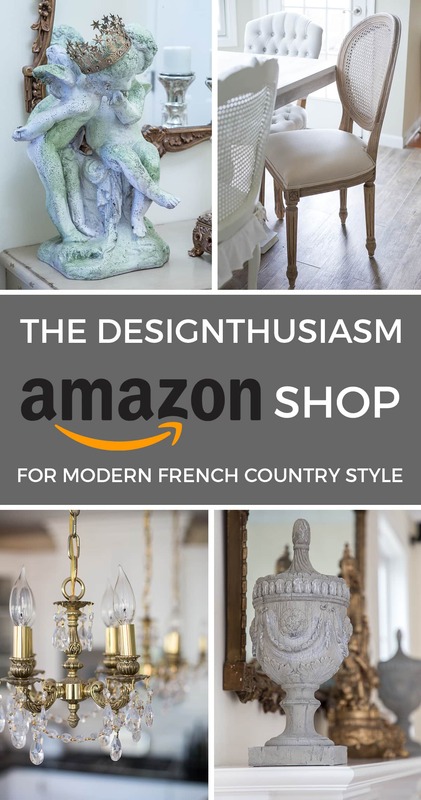 You’ll find links to the other posts at the bottom of this one, along with a wonderful Giveaway that you can enter to win. I’d also like to thank my amazing sponsor Plush Pumpkin for providing the gorgeous velvet pumpkins seen in this post and around my home. 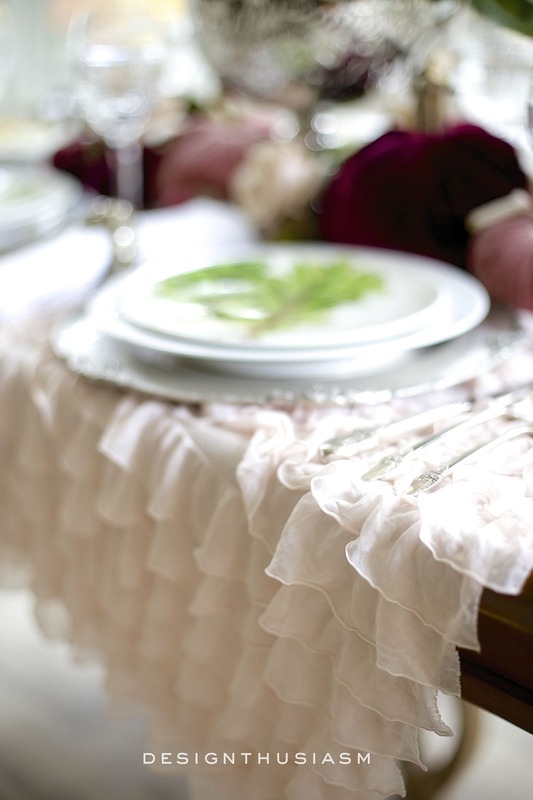 The underpinning for the table is a lovely blush pink ruffled throw I’ve been really crushing on lately. You can expect to see it a few more times this season and probably on into the next. For stemware I went with my favorite glen plaid crystal goblets from Ralph Lauren Home. I use these over and over as they work with so many different looks. I also have the champagne flutes as well as high balls and double old fashioned glasses. My napkins are embroidered white linens that I bought years ago with a matching tablecloth. 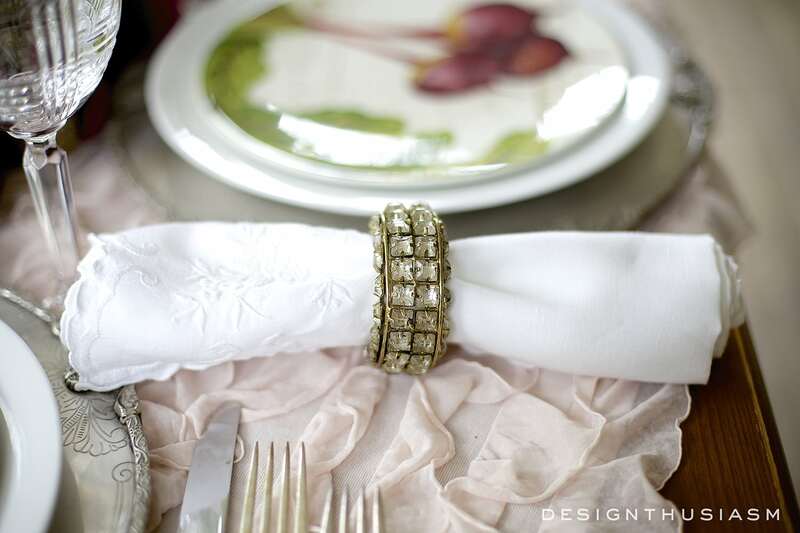 I used my most glimmery crystal bracelet napkin rings to maintain the look of holiday elegance. 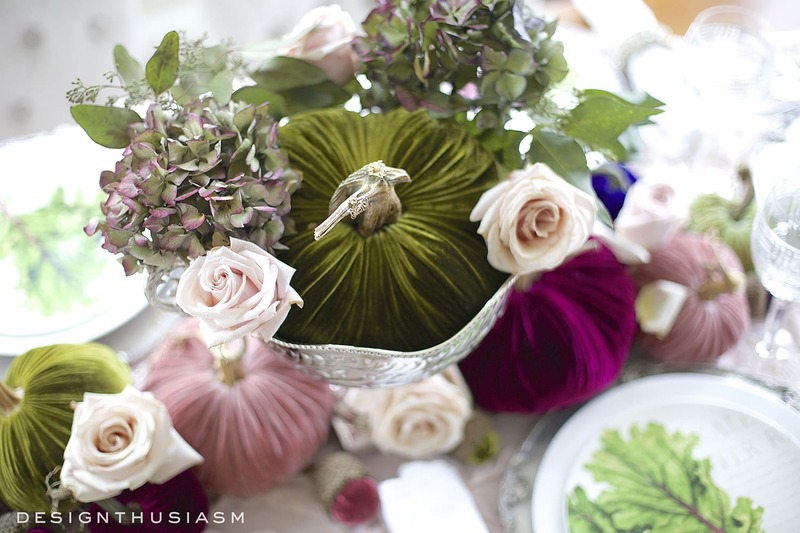 But the true stars of this table are the stunning rich toned velvet pumpkins from Plush Pumpkin. I chose pinks, berries and greens and I find their sheen and soft plumpness to be truly very beautiful. I tucked roses and dried hydrangea into the presentation because I feel tables look best with fresh flowers, even when there are other elements that are highlighted for seasonal or decorative flavor. The footed silver bowl is a new addition to my collection and one that works beautifully on the table. I love the way the pale blush pink and pure clean white offset the rich dark berry tones. 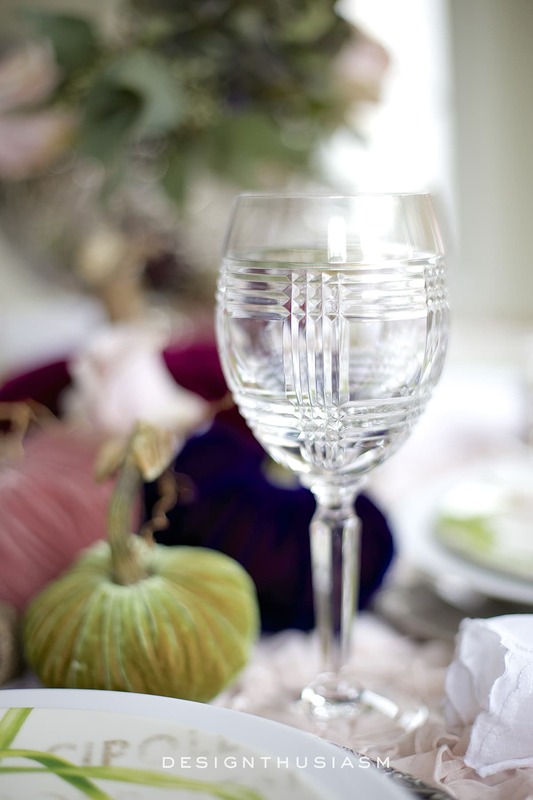 The shimmer of silver and crystal also helps to accentuate the contrast with the deep and lush pumpkins. 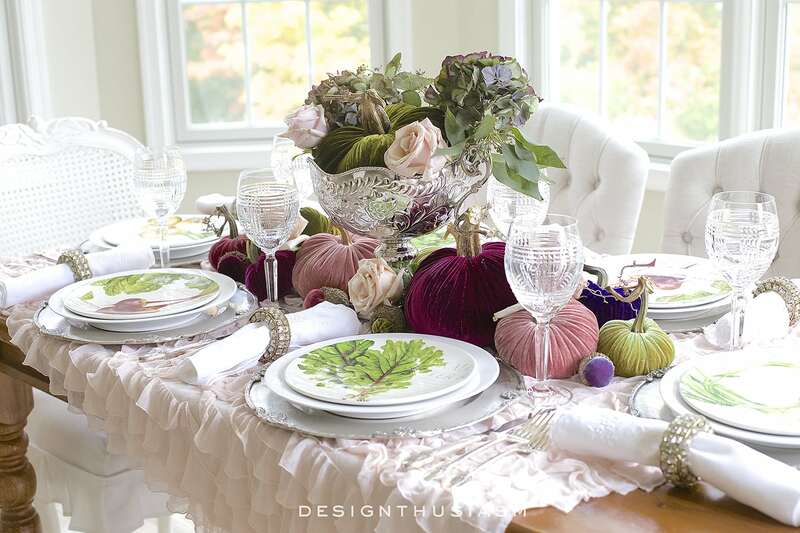 I’ve done several tablescapes this fall and it’s hard to choose which one to use for my actual Thanksgiving dinner. I’ve got one more to share with you next week and then perhaps I’ll put it to you readers to vote for the final winner! Thanks for visiting with me as I continue my holiday planning! Please take some time to enjoy the other posts below, and don’t forget to check back later in the week for more bHome for the holidays. 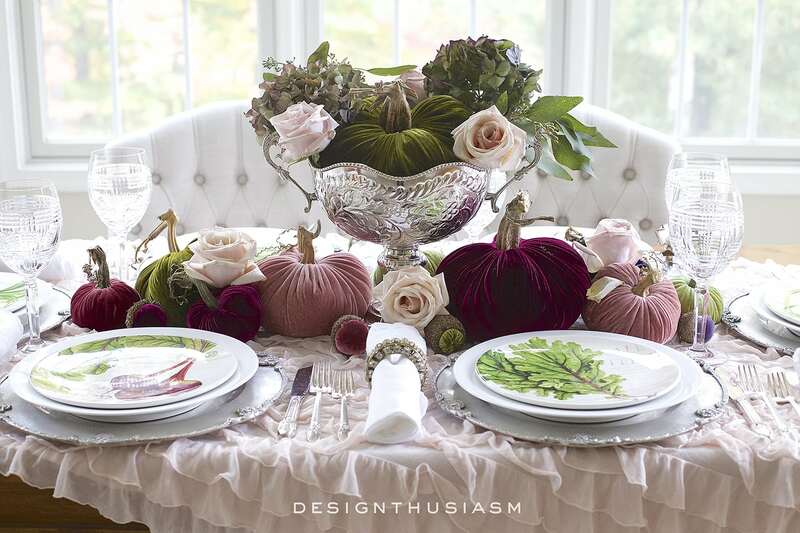 So very elegant and romantic…I so love the beautiful colors of the Plush Pumpkins…and crushing on that gorgeous silver urn. 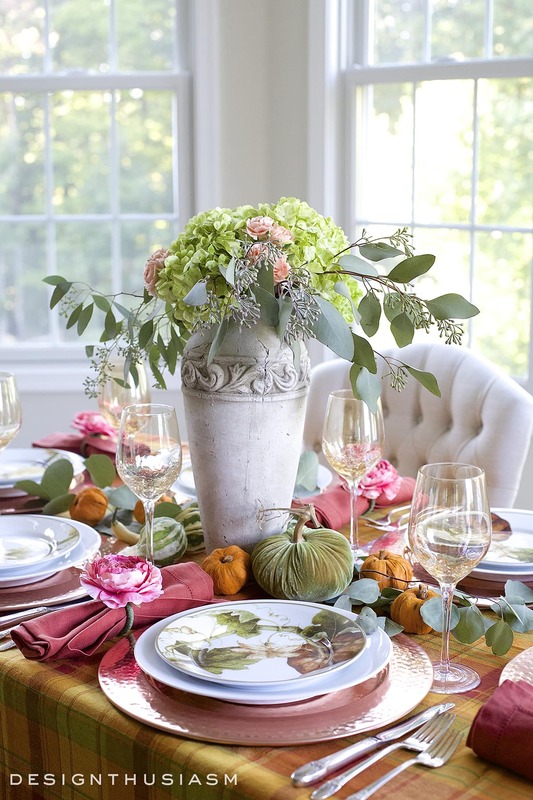 It certainly would be hard to choose a favorite Fall tablescape as they are all so very beautiful! Thanks so much, Shirley! I sure did get away from traditional colors this year, didn’t I? I’m having fun with it… 🙂 Thanks for stopping by!! Very pretty. I love the rich colors. I loved the hand painted blue dotted pitcher. Thanks for visiting Betty, and sharing your favorite! The acorns are adorable. I love the soft colors for Fall. Somehow I always go with maroons, bold oranges, golds and earth browns. 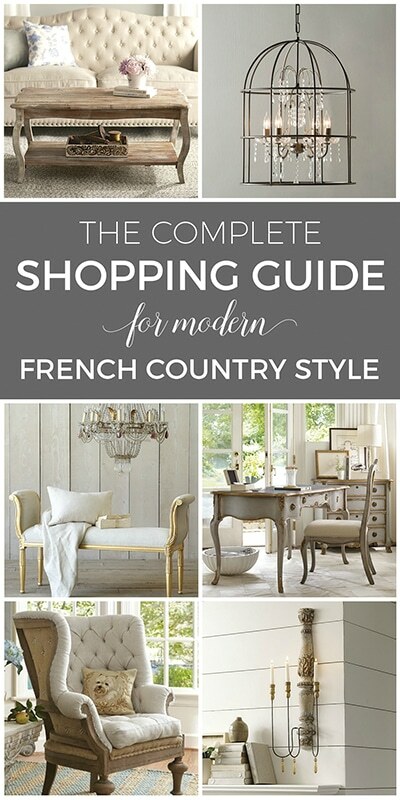 I did visit French garden house. Thanks for the introduction. So much to see! I spent tons of time on the site. 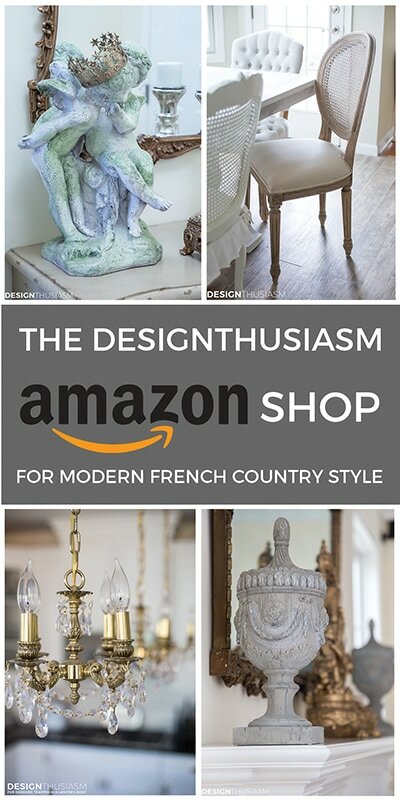 I think my favorite item has to be the antique French glass pale pink rosary. Amazingly beautiful! Lory, You amaze me with your creativity! This tablescape is gorgeous but all of yours are. You are gifted in design. I love everything you do! 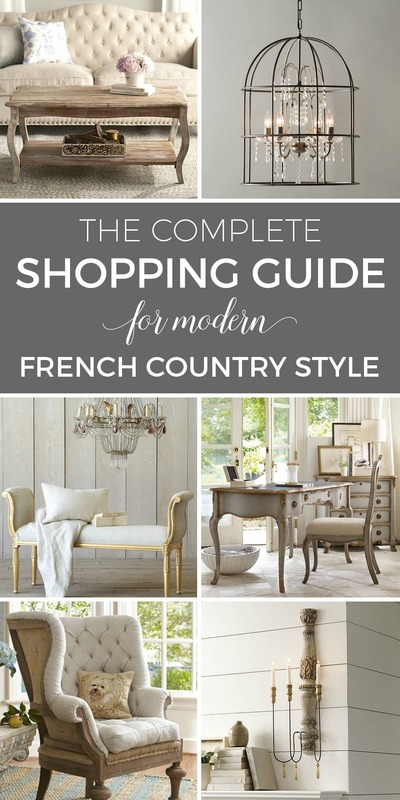 I love the blue toile footed planter but the french china is exquisite also! Thank you so much, Bonnie! What a nice thing to say… 🙂 And yes, I love so much on her site too!! Beautiful table and colors as always, Lory. 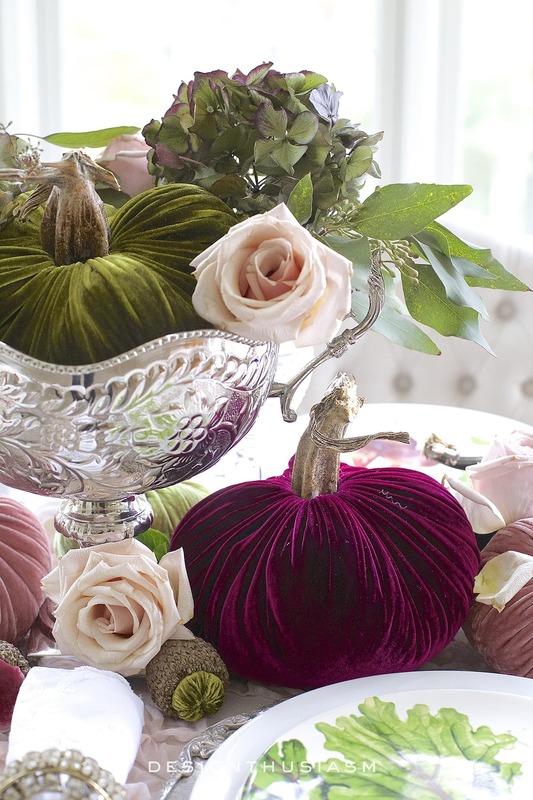 Loving the velvet pumpkins and the gorgeous silver bowl. This is going to be a difficult decision as to which is my favorite! How to do out do yourself every time! Simple stunning Lory!! 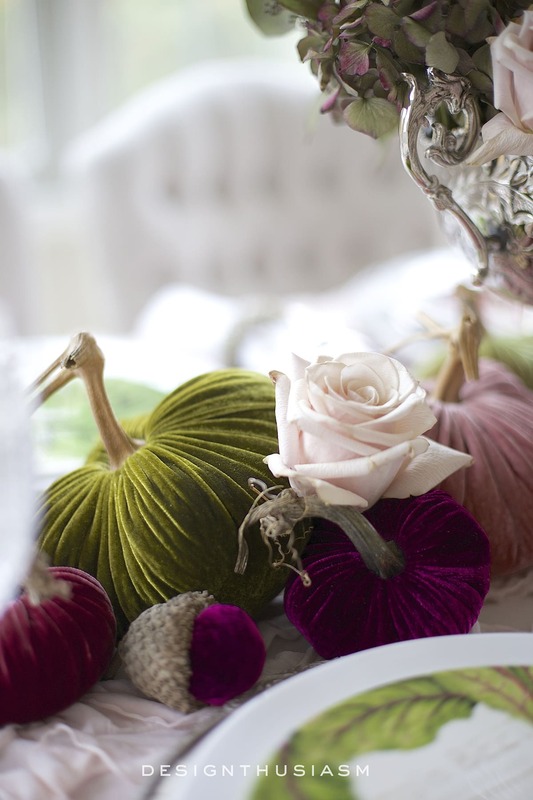 Those pumpkins are plump and lovely – the table divine! Thanks, Kelly! It’s such a pleasure being part of bHome!! Total gorgeousness.. The rich colors are so beautiful together on that table. This is so dorky but your table takes my breath away. I can actually see me sitting there sipping on some champagne. I love that!! Thanks so much, Laura! I admire your style all the time so that really makes me feel great… 🙂 Fun blog hopping with you! Lol. If I had seen the last few posts, I would have commented then! ?. See what happens when your posts come up on my FB page!! Oh, Lory, your table is something out of a dream! I love the velvet pumpkin. I first saw them a few years ago and have wanted them every since, and that blush pink ruffled throw has me swooning! 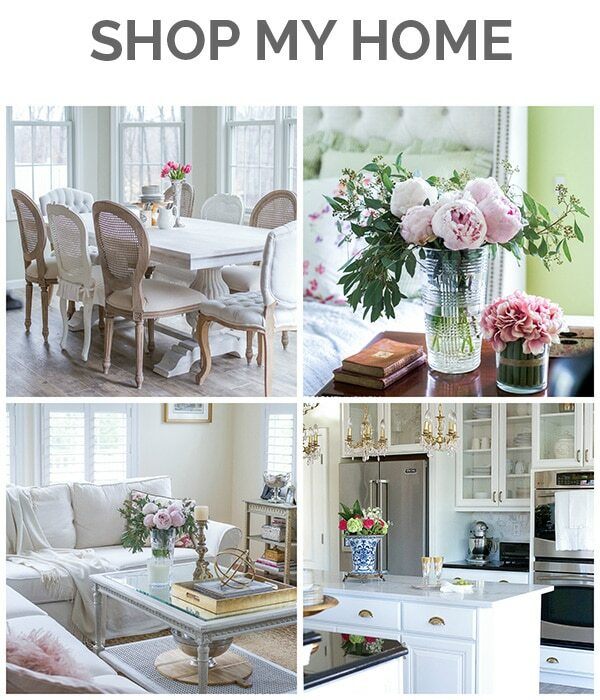 I have an inner girlie girl who absolutely loves decor like this. Stunning, stunning, stunning! Yours is one of the most elegant table settings I’ve ever seen! 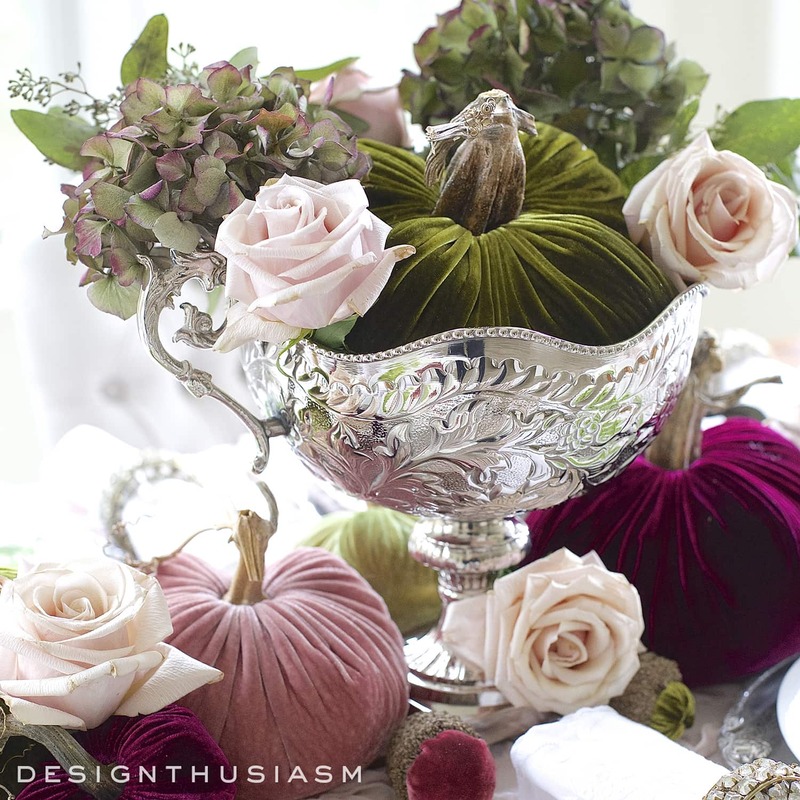 Those velvet pumpkins alongside the beautiful silver bowl holding those gorgeous roses is stunning! 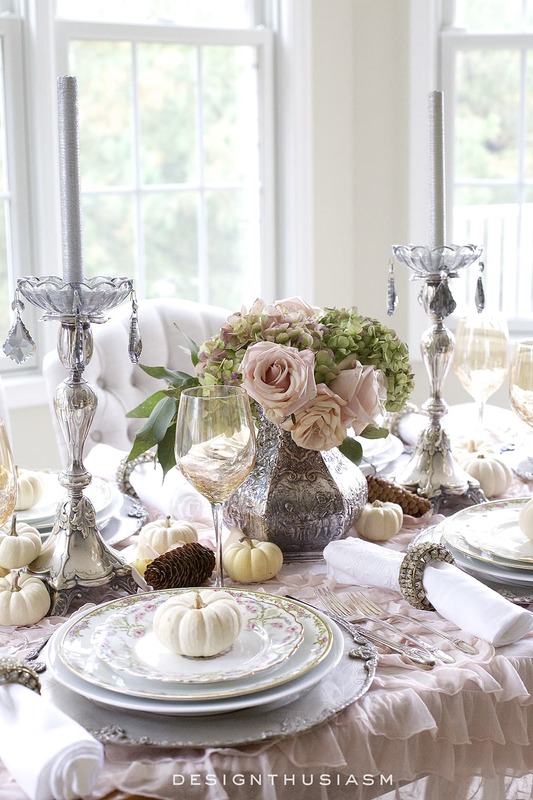 I love the soft, feminine colors of the whole table. 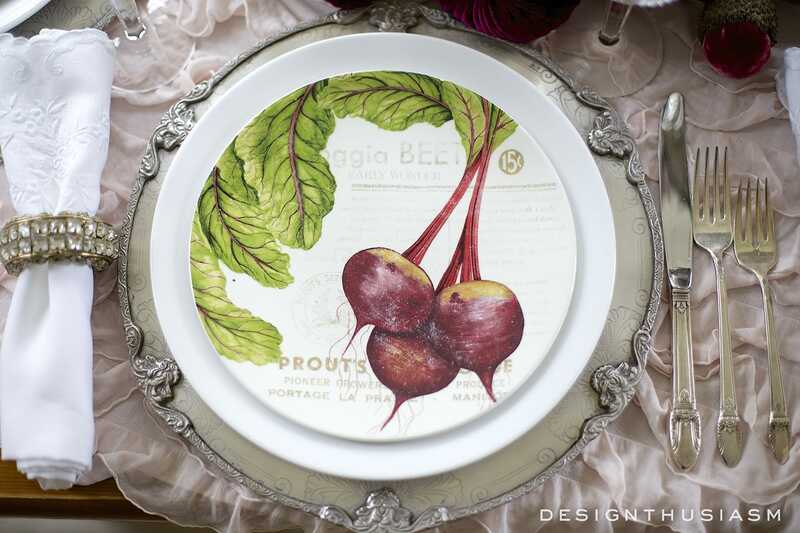 The vegetable-themed salad plates coordinate with the purples on the table and just pop against the white background. You have done a fabulous job! Wow, Barb, what a lovely comment!! Thank you so much! Love the Ribbon Rose Khaki Bowl Set of 4, with the matching sugar bowl. So elegant! I love the colors. 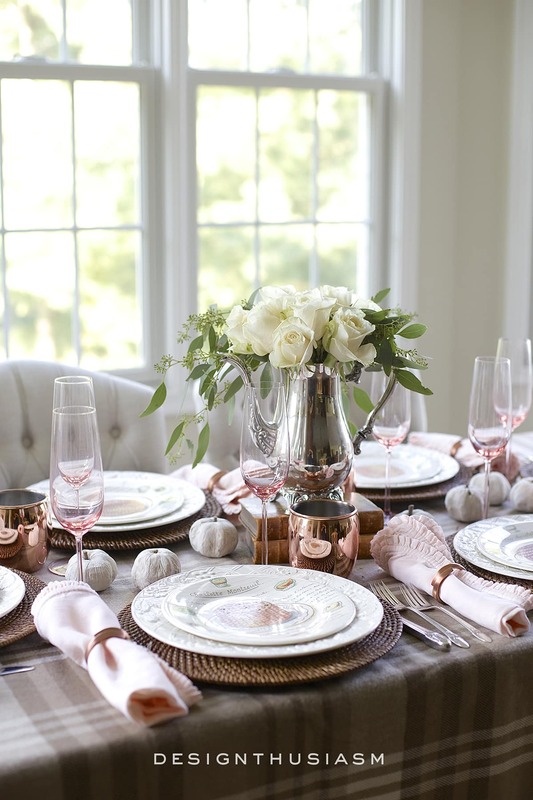 Lory, this is a beautiful blog hop, but I must say, your table is stunning! Your elements – the chargers (be still, my heart! ), the RL glen plaid (that masculine yang to all the feminine yin! ), the plush pumpkins (such luscious colors together!). I could go on and on, but I hope you get how much I love this table. Hands down, this should be the one for Thanksgiving. Just exchange Plush Pumpkins heart-shaped pumpkins in the same colors and you could call it your Valentine table! 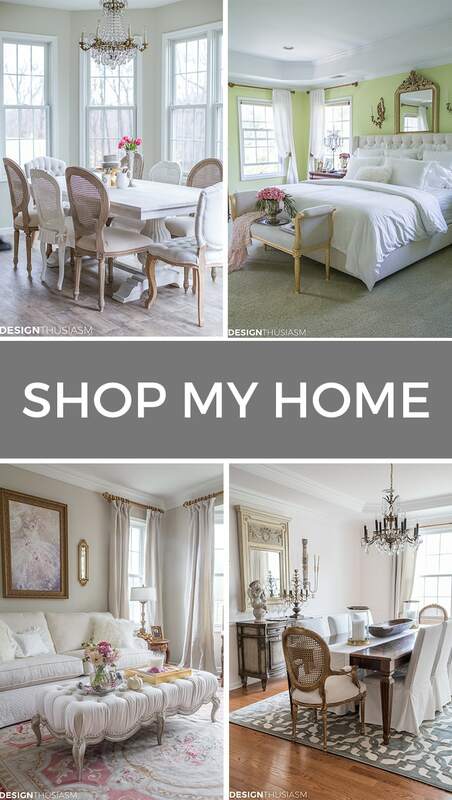 Lidy’s shop – I love so many things there – but I would choose at least one of her unique, figural or standup napkin rings to add to my collection. Happy November! Thank you so much, Rita! I actually think I agree with you and do want to use this one, but I’ve got something else to share soon using these pumpkins, so we’ll see… 😉 Stay tuned! 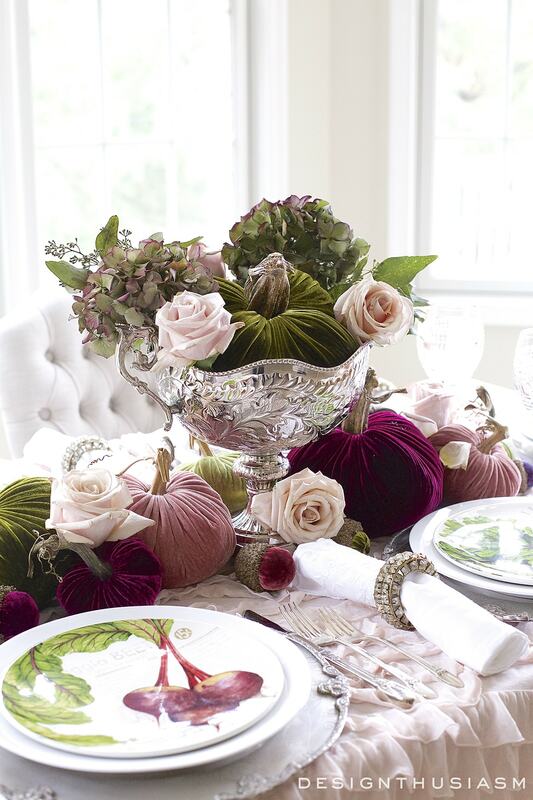 Hi Lory ~ Your colors are so rich and unexpected… You’ve created a beautiful Thanksgiving table! I love the Velvet Pumpkins! Hi Lory, you are the first Lory I have come across whose named is spelled exactly like mine. Just wanted to say that. I love your table setting. It is so pretty and romantic. I Love that it’s not the traditional Fall table. The colors of those pumpkins are so rich and elegant. I am crushing on the throw too! What a pretty table. Thanks, Jacqueline! It seems to be a fan favorite… 😉 Thanks for visiting!! 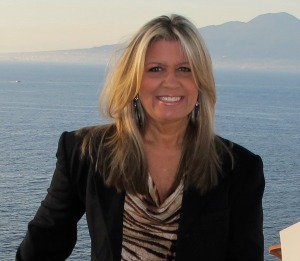 Hi Lory, I just love all your style! After a visit to the website my favorite must have item was the “Our Daily Bread” European Linen Embroidered Towel in Flax.